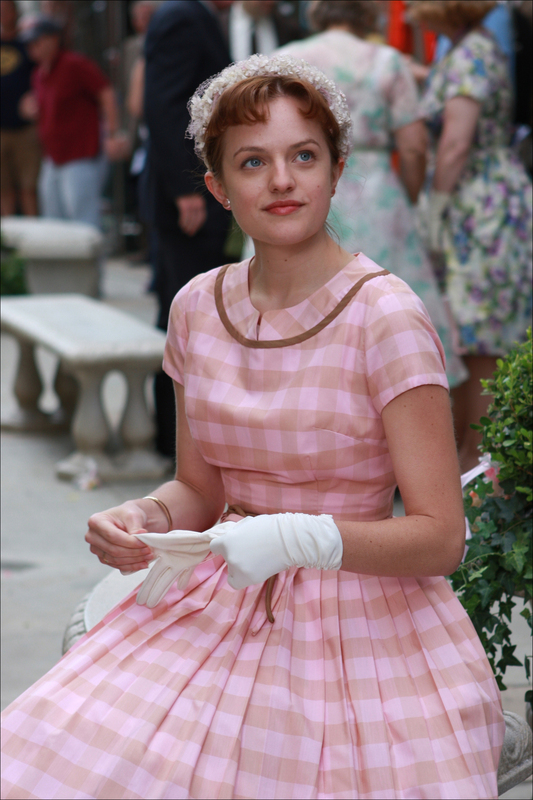 This adorable brown and pink checked dress made its first appearance in the 2008 second season of AMC’s magnificent television series Mad Men, in the episode entitled Three Sundays. Janie Bryant, the show’s costume designer, uses a combination of original designs, vintage finds and rental costumes to outfit the cast of the show. The dress was seen a second time on an Anna Camp as Jolene French in the 2011 film The Help.